Giant fighting robots need to have perfect proportions too. Just ask Leonardo da Vinci. 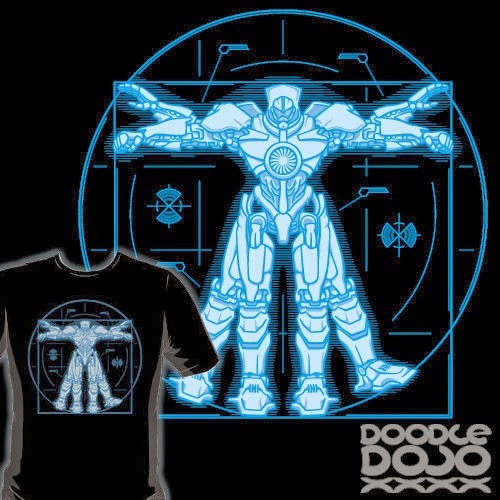 Inspired by Pacific Rim and Leonard da Vinci's Vitruvian Man. Also available at the Doodle Dojo Etsy Store (fast UK and European shipping). See size, colour and style options on the product page on RedBubble or Teepublic. You will also be able change the pricing options to your local currency.